What's the next best thing after owning your own dream cabin? Visiting your friends' dream cabin! Our friends Colter and John Jackson have the most wonderful cabin perched right alongside a lake in the Poconos (Colter is an amazing children's book writer/illustrator, btw. Check out her book Elephants Make Fine Friends). The days were spent hanging out on their dock, walking around the lake, and relaxing in a hammock, while the nights were spent playing ukulele around the campfire. 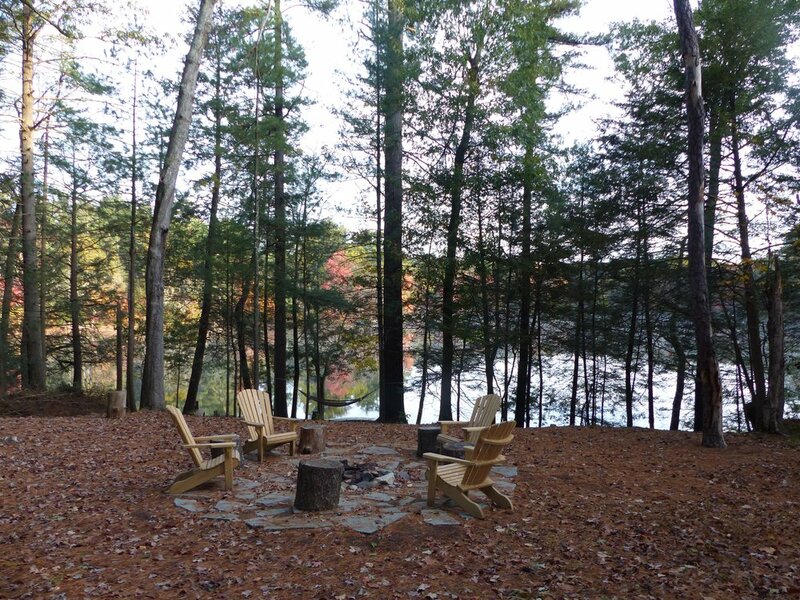 The great thing about the Poconos is that it's not too far away and there are tons of lake communities! On Sunday we headed to Klein Farms in Easton, PA for some pumpkin picking. 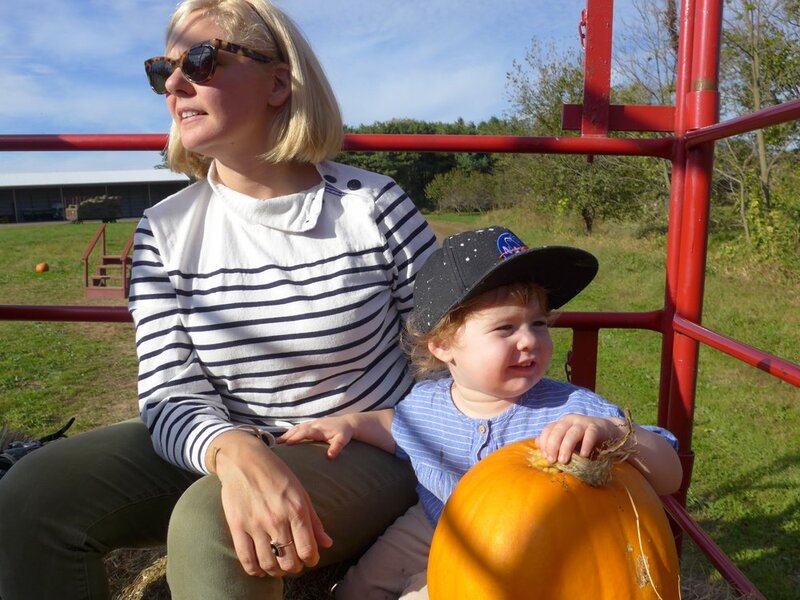 We've been to a few different places outside of NYC to go pumpkin picking, and Klein Farms is a little on the small side, but still have the essentials. When we arrived, Sally was delighted by the small collection of farm animals (ponies, a pig, chickens, etc.) and the great playground. While waiting for the hayride to take us to the pumpkin patch, we took a short stroll through the corn maze. Then it was off to go pumpkin picking. Sadly, we were a bit late in the season and the patch was pretty bare, but we did manage to find a few winners. On our way out, we stopped at the farm's store and tried their delicious homemade ice cream. The store also has a variety of other dairy products from the farm (eggs, cheeses, etc.) If you're in that neck of the woods in the fall and looking to support a family-run farm, swing by!